Spring has finally sprung and with it comes new roles, shows and projects from our prolific alumni. Here’s where you can catch some of our lovely grads in April. First up, Louisa Harland continues to make us laugh (hysterically) playing Orla McCool in the second series of Channel 4’s hit comedy Derry Girls. If you haven’t tuned into this brilliant show yet, you’re in for a treat. Be warned, it’s binge-worthy. Daisy Hale has produced Keep Watching, a topical thriller based on first-hand accounts from experts in the field of surveillance, at New Diorama Theatre. Kennedy Bloomer has been busy assistant directing Mary’s Babies at Jermyn Street Theatre, which tells the unbelievable but true story of Mary, who used her husband’s sperm to impregnate up to a thousand women and then burnt all the records. Lois Chimimba takes on the Chekhov classic Three Sisters at the Almeida in a refreshing take from director Rebecca Frecknall. Meanwhile, Ian Hallard will appear in Tumulus at Soho Theatre, an award-winning thriller which sold out at VAULT Festival 2018. 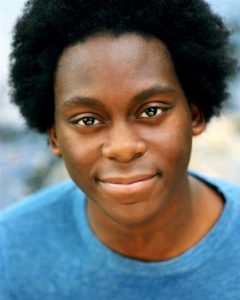 We wish both well done and good luck to Tyrone Huntley who was recently nominated for an Ian Charleson award for his role as Lysander in A Midsummer Night’s Dream at the Watermill. He’s also making his directing debut with Ain’t Misbehavin’ which opens at Southwark Playhouse later this month. The show celebrates the jazz legend Fat Wallers and explores a defining moment in American musical history, the Harlem Renaissance. 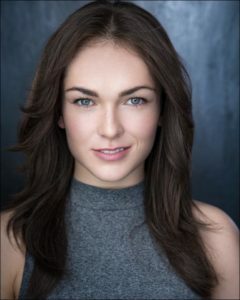 Huge congratulations are in order for Sarah Hanly, a recent MA Performance graduate, who has been awarded the Royal Court’s Pinter Commission 2019 by Vicky Featherstone and Lady Antonia Fraser. 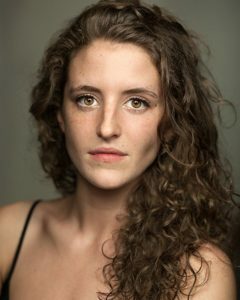 Vicky Featherstone praised the “extraordinary monologue Sarah wrote and performed” for her Creative Project at Mountview in 2017 which originally brought Sarah to the Court’s attention as well as her new play, only her second piece of writing, that they will be supporting with the award. In her speech Sarah thanked fellow graduate Alice Fitzgerald (MA Theatre Directing) for her “help and support and amazing dramaturgy” and thanked all her teachers at Mountview. And her teachers couldn’t be prouder. Another big congratulations to Joe Murphy, the new Artistic Director of Sherman Cymru in Cardiff. In a recent interview with Arts Council of Wales he describes being “completely thrilled,” and “couldn’t imagine a more exciting place to be working.” You can read the story in full here. That’s all for now but there’s plenty more where that came from. If you are a Mountview graduate, keep us updated with what you’re up to by emailing marketing@mountview.org.uk or tweeting us @mountviewldn.